My children’s fantasy book buying guide! Here, I have compiled a list of a ton of different books that I believe would be perfect for children to read on their own probably around eight to ten years or older. These would be perfect gift ideas for Christmas! or at any other point during the year. 🙂 If you have trouble choosing one, just let me know and I will be happy to help! If I think of any others or come across some more good ones, I will add them to this list. These are my personal recommendations and all the books on this list I have read; there could be some other good ones, but I don’t want to add them if I haven’t read them. No list is complete without discussing Harry Potter and to make it even better, there are fantastic illustrated editions with original art! These are absolutely gorgeous and any child will love these! The first three are out now! I can’t wait until my son starts reading and he can enjoy these books as much as I do! The Enchanted Forest Chronicles are great, especially if you love dragons or fairy tales! You can get a great box set of them too; perfect for gifting! I really enjoyed these when I first started reading fantasy. I even re-read them recently and still find them to be entertaining; they are also hilarious. Chronicles of Prydain was one of the first fantasy series I read. I read it at age 21 and just loved them. They are filled with adventure and battles, as well as some great characters. These books come in an awesome box set that includes a poster map of Prydain! The Fable Haven series is one of my favorites. I read it about 5 years ago when I was really getting into fantasy and I just loved them. The world was astounding and I adored all the mythical creatures. The five book paperback set is what I got, but I don’t really like the paperback versions because they don’t open very well and are cheaply made. If possible, get them in hardback. That would be a bit better. There is also a companion book to this series, which is awesome! It’s called The Caretakers Guide to Fablehaven and it includes pictures and descriptions of some of the creatures and items found within the series. There is also a sequel series currently being released as well that I can’t wait to read. The Ranger’s Apprentice series is quite long but also a grand adventure! I couldn’t put this series down! It does move a bit slower than most children’s fantasy books but the series has astounding character development. It is a bit daunting because there are 12 books, but I think anyone would be hooked on book one. There is also a prequel series! A perfect gift for the one who has read everything else. 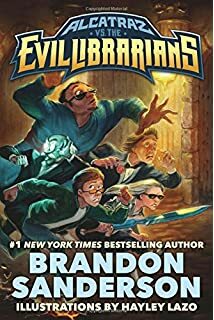 The Evil Librarians is one epic, hilarious adventure. I love every book I have read so far. Currently, there are 5 published books, but I think there is supposed to be another one. These reprints are gorgeous! Oh, and Brandon Sanderson is amazing, so you have to read his books. 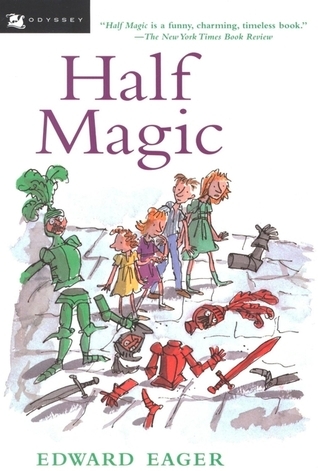 Tales of Magic series is a great way to introduced children to fantasy or just reading in general. These are shorter books, though there are seven, and absolutely hilarious. 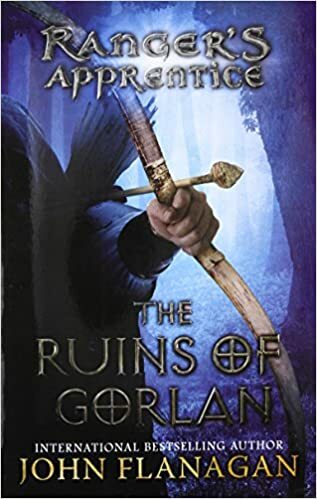 They will be begging for the next book in the series soon after finishing this one. These books are just quicker, less intimidating reads. The first four books are available in a nice box set, perfect for a gift! 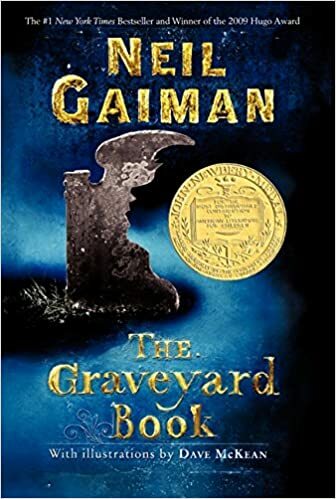 I loved The Graveyard Book the first time I read it! It is such a great story and I highly recommend it for children ten and older, especially if they love ghosts. It’s a very quick read and a stand-alone if they prefer those over longer series. Again, The Hobbit is one of the books that really got me into reading fantasy. This illustrated edition looks magnificent. 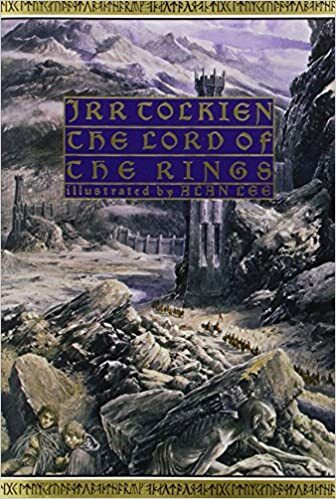 I don’t have this particular one but I do have the Lord of the Rings books that I believe are supposed to match this one and are also illustrated by Alan Lee. It’s such a great story and even has a dragon! Upon finishing the book, children may even watch the movie and compare the two to see which one they like more. It’s even a great book to read aloud! 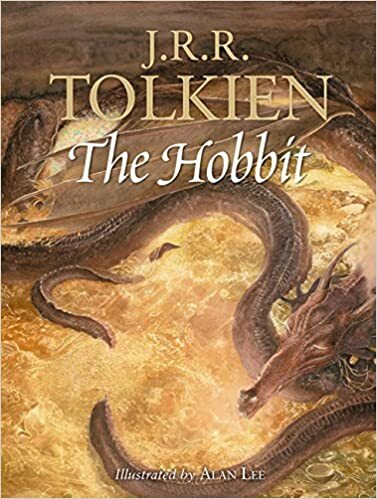 Upon completing The Hobbit, children can delve right into The Lord of the Rings but it may be a bit more scary so I recommend waiting until 11 or 12 years old, but you just have to know the child to determine if they are ready for these. Following the link takes you to the box set that I have, which I really like, but there are many more versions to choose from. Just pick the one you like best. Thanks for giving me ideas for a couple more recommendation posts. These are all lovely book choices. Your welcome! I’m glad you enjoyed the post. Very excellent list matey. Makes me want to reread the enchanted forest chronicles again! They are amazing! Hopefully you can read the rest soon!